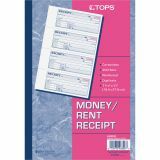 TOPS Money and Rent Receipt Books, 2-3/4 x 7 1/8, Two-Part Carbonless, 200 Sets/Book - Use carbonless, manifold receipt book to record money received. Safety tinting is rubbed off with any erasure. Wraparound stop card prevents write-through onto the next page. 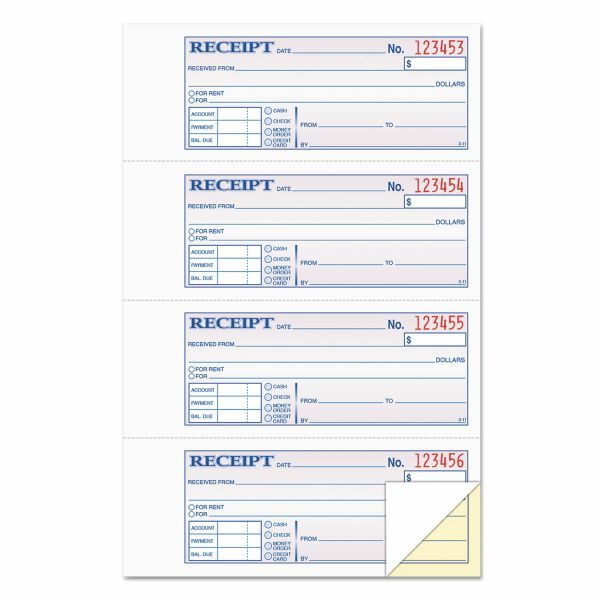 Each page has four receipt forms. 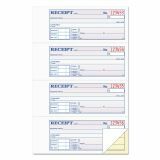 Each two-part receipt includes preprinted prompts for date, payer, payer's address, payment amount, purpose of payment and recipient. 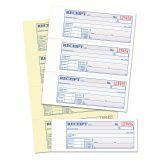 A chart along the bottom of the form offers space to fill in account balance, amount paid, balance due and method of payment (cash, check or money order). Receipts are consecutively numbered. Paper sequence is originals in white and duplicates in canary.